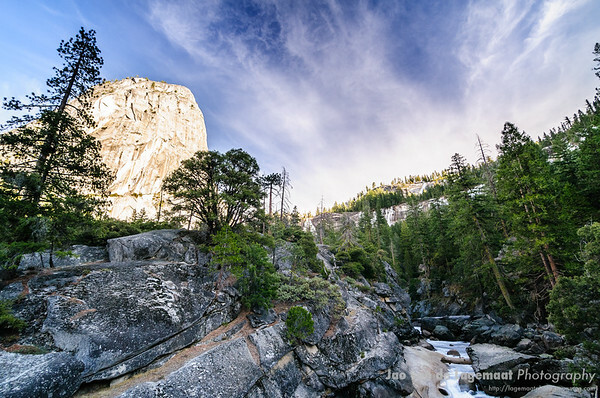 Liberty bell and Merced river, Yosemite National Park, Christmas 2011. Buy a print. 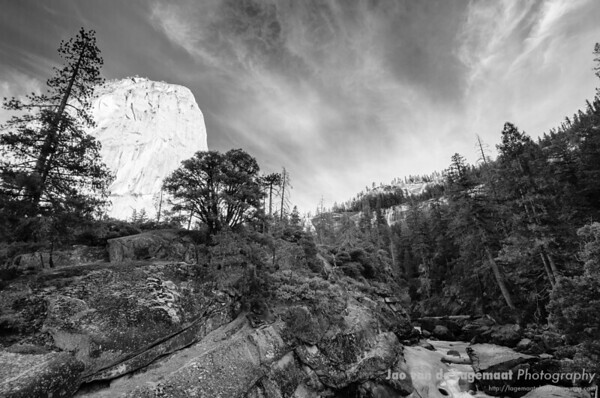 Liberty bell and Merced river Black and White, Yosemite National Park, Christmas 2011. Buy a print. Same tech data as above. I don't remember using a polarizer here, but the 1/60s at f5/6 makes me think there might have been one on the lens as that seems slow for the sunlit peak in the background. I was carrying one that day and used it earlier on a waterfall to tone down a reflection.